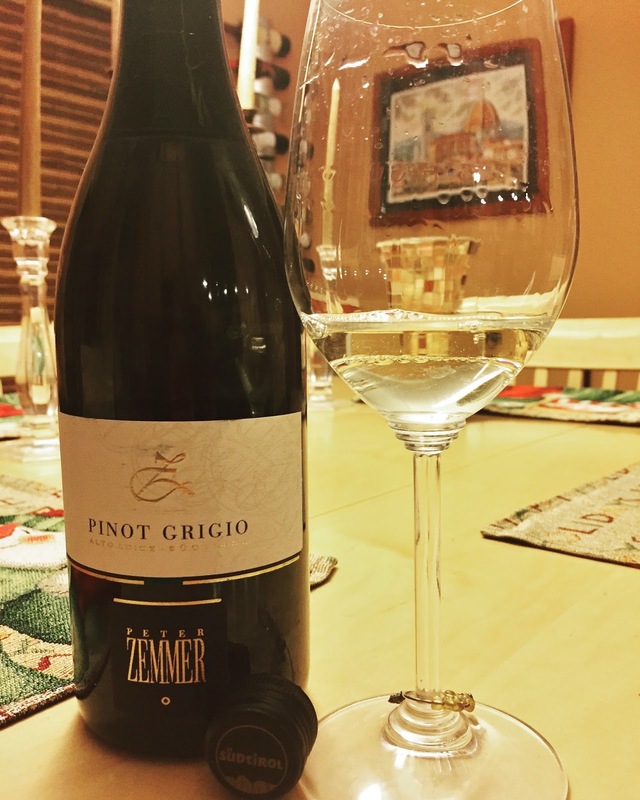 Vino Travels ~ An Italian Wine Blog: Who says there isn't great pinot grigio? 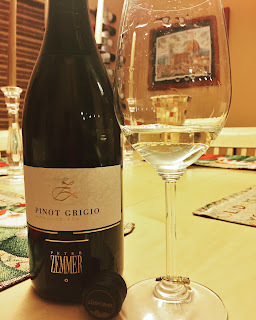 Pinot grigio has not always been a go-to when it comes to white wines for me, but if I am going to drink one I always turn to northeastern Italy, in particular the Alto Adige wine region. Pinot grigio unfortunately has been tarnished from the days of when high quantity, low quality pinot grigio were being produced. It still happens today, but there are plenty of producers that are doing it right and creating some beautiful wines that one shouldn't be shying away from. You may say that some of the names I just mentioned don't sound very Italian. This region, along with others regions of northern Italy, border other countries including Austria and Switzerland, so you'll see a lot of germanic influences. In addition to Italian spoke here, many also speak other languages with German being a strong second language choice. You'll also see these influences present in the architecture and design of some of the homes and building along with the food itself. 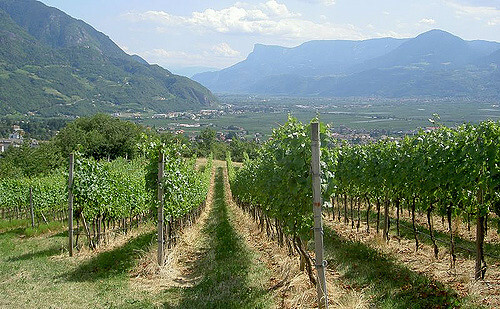 In the Alto Adige region it provides a mild, cool climate for grape growing with both the alpine climatic influences as well as those of the Mediterranean. With the fluctuations in temperatures from day to night, this helps create wines with vibrant acidity and aromatic wines. balanced with nice crisp, acidity combined with notes of lemon and pears and some salinity. Great overall body and mouthfeel. Definitely holding true that my thoughts on the wines from this region deliver more than just satisfaction. You'll see as well that this bottle is a couple years old and it's always best to sample these wines in their youth, but there was no sign of deterioration in my glass! ABV 13.5%. SRP $16-17. *This was a sample provided to me by Creative Palate Communications, but opinions are my own.